Life today has a certain level of comfort associated with it. Instant gratification, inflated perceptions of self-importance and a lifestyle of ease can lead to complacency. Today I received a jolt of reality and was reminded of how profoundly blessed I am. And I am only blessed because of the many sacrifices, hard work and accomplishments of those that have come before me. It is not very often you are in a room full of great people. I take that back- it is often for me. Almost once a month I have the privilege of spending just a few hours with these very people. Obviously, I don’t always recognize how great these individuals actually are. That’s because they are my family. Not my blood family. No, my Bulldog Family. Which believe it or not, in my book is a great way to define that word- family. So it is with family, we become familiar and sometimes need to take a step back to understand how impactful our family members are. 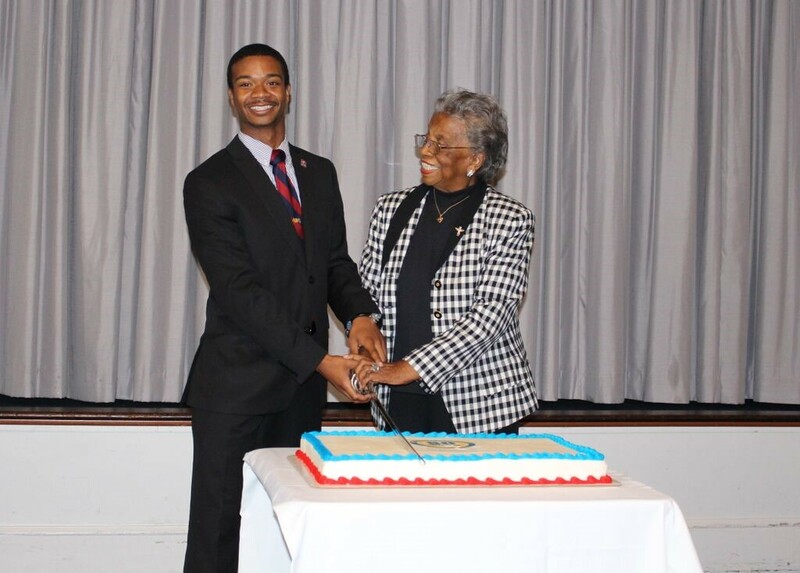 Today, we gathered together to celebrate the 80th anniversary of what is undeniably the best alumni chapter in the National Alumni Association of South Carolina State University- the Washington, DC Alumni Chapter (yes, all of our sister chapters are great but I’m biased). I must say, it was a wonderful event that reminded me of why I am so proud to be a Bulldog! I know we hear facts thrown around about our alumni and their varied and noteworthy accomplishments. But as I listened today and interacted with so many successful alumni, I was humbled to be a part of the history and lineage of such an impactful institution. 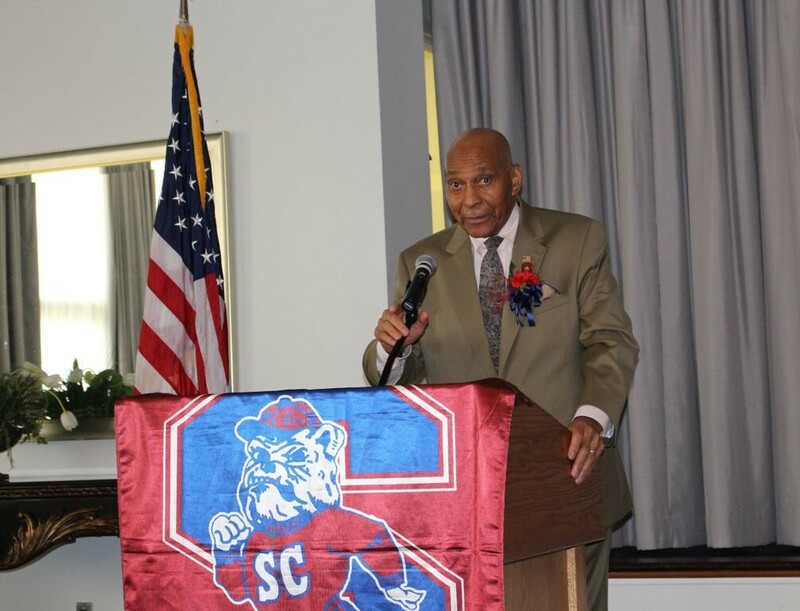 Although many stellar alumni were highlighted at the event, our keynote speaker, Brigadier General (Ret) George Price, accurately personified for me what the value of an education at South Carolina State University means. Many alumni, across generations, have stories that exemplify what happens when tenacity meets opportunity. 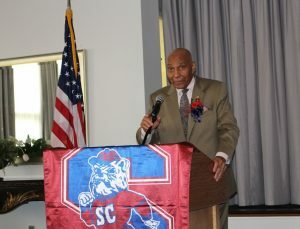 I loved how he stated that his mission at SC State was clear. For, he arrived from Mississippi on a one-way ticket, essentially communicating “do or die”. The only option was for him to excel and make good on that opportunity. As I noted, I know there are countless examples of this same ultimatum being issued to students as they entered SCSU, which continues even now. To think, for so many, SC State represents the one opportunity available for an individual to step into his or her destiny by gaining the knowledge and skills to become a stand-out professional in his or her field. This isn’t some lofty notion. No, it is a proven fact! SCSU provides the means by which individuals are able to gain a solid education, significantly increasing their chances for social mobility. I submit, that is a legacy worth protecting, nurturing and growing. With a reputation like ours, we have a responsibility to protect our institution’s rich legacy and ensure it remains a viable option for higher learning for generations to come. 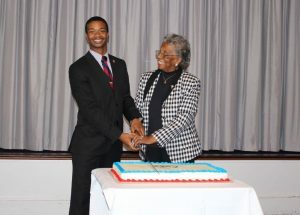 For me, this point was amplified during one of the latter portions of the program- the Cake Cutting Ceremony. A tradition borrowed from the Armed Forces, the most senior-ranking member and the junior-ranking member in the room take part in this ceremony. Together, they cut the cake with a sword, symbolizing the rich history and accomplishments of the past and the enormous opportunities that await our future. This is a powerful image for me- one in which I feel we are severely derelict in as young alumni (and perhaps more broadly as young adults and Millennials in today’s society as a whole). In general, we are not showing up to the table, but instead leaving our senior-ranking alumni, those that tirelessly paved the way for us, to struggle to “cut the cake”. I love my older alumni dearly and firmly believe that they deserve a season of rest. But it can’t be just a few young alumni stepping in. It takes everyone rolling up their sleeves and committing to supporting our university. Not just in ways that ensure us the limelight or a pat on the back, nor through action-less rantings on what is broken at our university. Let’s stand beside the senior alumni and together help our university make strides forward. Finally, I want to revisit the notion of SCSU being my family. At the end of the program, all of the past chapter presidents were asked to come to the front of the room to be recognized. I’m proud to say, of all 8 or so of the individuals at the front, I have a personal relationship with each one. At one point or another I’ve worked with them on some chapter program or supported their administration as a chapter officer or committee chair. Each of them hold a special place in my heart! Aside from the chapter business, in both happy and sad times they have been there for my family and me. When my mom passed away, they were right there at the service. When we experienced weddings in the family, their smiling faces were present. On the various occasions that I’ve preached, their “Amen” was there to encourage me. I remember very vividly, just a week before my mom died, our family was at the SCSUNAA convention in Charleston, SC. Two of them told my mom not to worry, that they’d look after her girls. At the time I didn’t realize how timely those comments were but to this day, they haven’t stopped looking out for any of us! My immediate family did influence my decision to attend SCSU. My dad graduated from State. My oldest sister too. My other sister was attending there when I entered as a freshman. But one alumni family ensured I stayed there by providing the financial resources through a full scholarship. I didn’t have to worry about any expenses, they were paid for in full through this family’s university scholarship. What a huge blessing that was for me and my parents. Seeing as though I didn’t have to pay anything for a degree that has propelled me into the destiny God so clearly orchestrated before the dawning of time, I owe the university nothing less than my all. I’m not sure what my next commitment will be to SCSU but I am newly convicted today that doing nothing is unacceptable. I accepted an awesome opportunity in August 1998 as I started my journey as a Bulldog and I must pay it forward, just like so many before me did. Stay tuned for information on how you can join me as we step up our commitments to the university together. Connect With Me! There's so much we can do together. Contact me to get started!